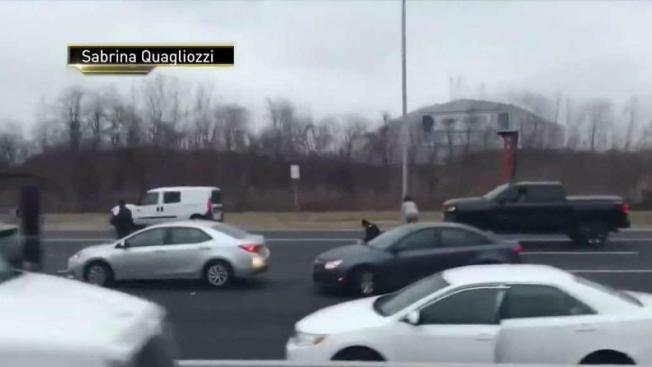 Police say nearly $300,000 is still missing after an armored truck door became loose and cash flew out onto a New Jersey highway during the morning rush Thursday. They're warning anyone who may have grabbed the cash to return it. Brian Thompson reports. 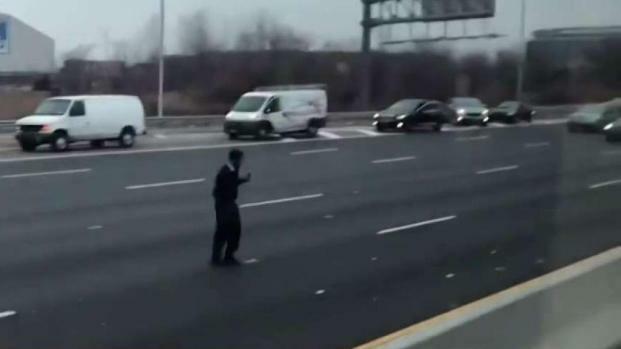 Authorities are looking for $293,000 in still-missing cash after an armored truck rained money onto a New Jersey highway Thursday morning, causing two crashes as drivers attempted to collect the loot scattered across several lanes. East Rutherford Police said Friday that two plastic bags containing a total of $510,000 fell onto the roadway. Drivers and the Brink's personnel recovered roughly $205,000 on the spot. Five people later contacted police and turned in a little more than $11,000. The remaining $293,535 was still missing as of Friday afternoon. While witnesses got quite a kick out of watching drivers scrambling to pick up the cash -- like a game of Frogger in between moving traffic -- police are reminding the public it's theft. Anyone who collected money in connection with the spill is urged to call the East Rutherford Police Department "to make arrangements for its return with no charges filed." A vice president for the company said Thursday he could "confirm that there was an incident with one of our trucks this morning which we are investigating."